Just over two years ago, I wrote an article called Facts about Chloramine Drinking Water Treatment (see also text box below), a now century-old public health practice that continues to grow in use across the United States. About a year later, a follow up article addressed a very common practice for utilities that use chloramine as a secondary disinfectant for their finished water—temporary changes in disinfection practices from chloramine to free chlorine. Also called “chlorine maintenance,”1 most scheduled changes are conducted annually in the spring and last a month or less. In this article, I’d like to offer comments on how this can play out in real life, as recently demonstrated in North Texas. Many utilities in the south that use chloramine as a part of their treatment strategy rely on a chlorine maintenance period in early spring to help keep nitrification in check throughout the rest of the year. Because this switch from chloramine to free chlorine (accomplished by stopping ammonia feed) can be associated with reports of a chlorine smell or taste, utilities have become increasingly proactive about notifying customers of an upcoming treatment change through press releases and social media. These types of communications are an important step in assuring consumers that although there may be a change in taste and odor associated with the water, it is still wholesome and safe to drink. But along with subsequent changes in taste and odor, social media can also fuel both spontaneous community concerns and planned protests over chloramination and chlorination practices. This was recently the case in Plano, Texas, served by the North Texas Municipal Water District (NTMWD), which provides water and wastewater services to 1.7 million residents across 10 counties. In response to viral social media posts on Facebook in February and March by a well-known environmental advocate, community members organized, formed a local citizens group called Safer Water, North Texas, and voiced their concerns to local officials and the water utility. NTMWD invited Safer Water members to meet with staff and tour the treatment facilities. The citizens group in turn invited the outside environmental advocate and her colleague, a water resource manager. As part of that planned meeting, NTMWD also arranged for a group of water treatment experts (myself included) to participate. At least one-third of Americans drink water disinfected with chloramine. Chloramine is produced at water treatment plants by combining chlorine and ammonia, primarily as a secondary disinfectant due to its extended persistence in water. Secondary disinfectants are used to help protect treated water from potential contamination in the distribution pipe network. Chloramine also helps reduce taste and odor complaints, and compared to free chlorine, forms lower levels of currently regulated disinfection byproducts. One limitation of chloramine is the potential for nitrification, which decreases the amount of chorine in the water and typically occurs in warmer water. Nitrification can occur when excess ammonia promotes the growth of “nitrifying” bacteria, which can be difficult to eradicate and cause water quality problems. Beginning with the viral social media post on March 14, 2018, and culminating with the appearance in Plano, Texas, on April 5th, the environmental advocate alleged that NTMWD-treated water provided during the switch to free chlorine might not be safe to drink, alluding that NTMWD was not to be trusted. The social media post alleged that excess and unsafe concentrations of disinfection byproducts were formed during the switch, and questioned the long-term safety of chloramine drinking water treatment given the need to control nitrification annually. 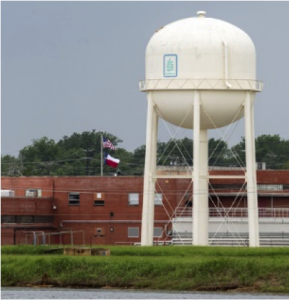 In response, the District and the State of Texas released multiple statements supporting the established safety and track record of chloramine for drinking water treatment. Perhaps more convincingly, the results of routine NTMWD water quality tests conducted during the temporary chlorine maintenance period showed that the drinking water continued to be safe, as detailed in a NTMWD press release. Moreover, independent water quality tests confirmed that disinfection byproduct concentrations remained within federal and state standards. On March 26th, the scheduled chlorine maintenance period concluded with little or no fanfare. In a very insightful Podcast about the recent events in Plano, a risk specialist emphasized the role of uncertainty, fear, and lack of control in public response to risk—and specifically the risks associated with changes in drinking water taste and odor associated with the chlorine maintenance program. NTMWD is to be commended for providing an open forum for access to subject matter experts and meaningful dialogue regarding this event, and for building better communication links to the newly-formed citizens group. The outside environmental advocate, while perhaps employing questionable tactics, was effective in drawing attention to local water quality concerns. The organized participation by many local residents and media coverage brought the story home. In the end, we all desire to make informed and effective decisions about whether or not to drink the water—and whether or not to change or implement additional drinking water treatment. To accomplish this, we need access to accurate information, meaningful public input, and analysis through sound science and engineering. In this case, while the road was rough, the path is now clearer. 1Temporarily switching from chloramine to free chlorine has also been referred to as a “chlorine burn,” but use of this term is misleading and often intentionally derisive because chlorine levels used for secondary disinfection remain well within established regulatory limits and include no chemical “burn” characteristics. 2 “After controversy, Stockton’s water safer” Online, available: http://www.recordnet.com/news/20170211/after-controversy-stocktons-water-safer.